Craving for ice cream without the guilt? 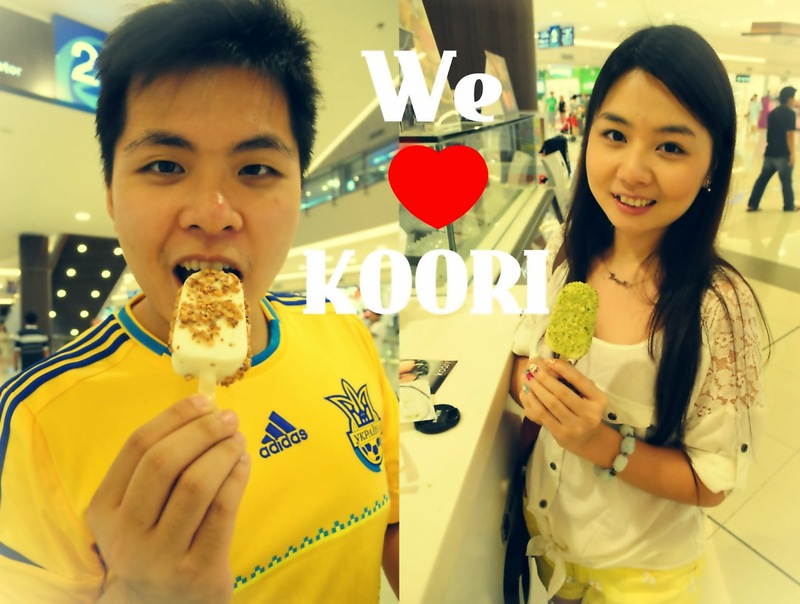 Try Koori Premium Yogurt Creations to beat the summer heat! I first chanced upon Koori in Robinson's Magnolia while strolling around the mall. D and I decided to try their yogurt bars, and surprisingly we liked it. My top picks for their Yogurt Bars are Praline Almond, Green Tea Pistachio, and Azuki-Taro. Tangy and refreshing yogurt ice cream covered in thick cracking chocolate coating.. One bar is not enough. The Yogurt Sandwich, on the other hand, is more filling with yogurt ice cream nestled in between sweet and chewy waffle cookies. 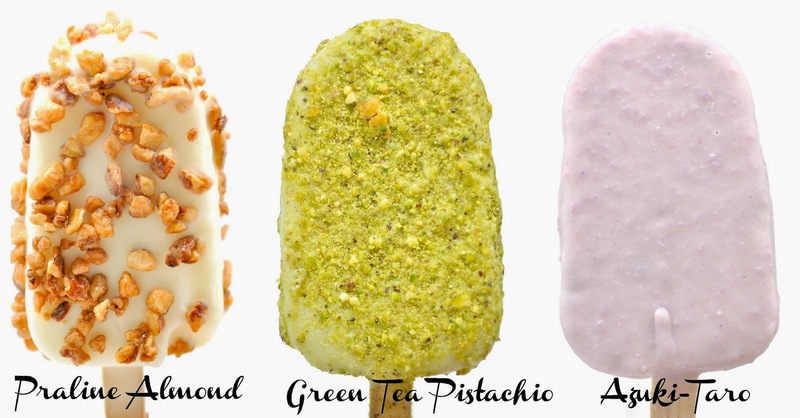 My favorites are Almond Crunch and Green Tea Pistachio. The Strawberry Cheese looked really good but sadly the combination didn't work for me. I personally prefer Koori yogurt bars over the yogurt sandwiches. Koori also has Chocolate-Shell Mochi (P85) and Gourmet Mochi (P100) which I have yet to try. Enjoy guiltless pleasure with Koori because it is made with 98% fat-free frozen yogurt that contains prebiotics and probiotics. hehehe! you can take home all flavors naman! meron cla cooler bag :) try mo! iba sya sa other yogurt places.. maasim talaga sya kya gsto ko kasi refreshing haha! ah! nice I thought kasi pag yogurt madali magmelt. Free yung cooler bag nila or purchase parang sa other yogurt stores? Drooling on this. cant wait to try those yogurts.